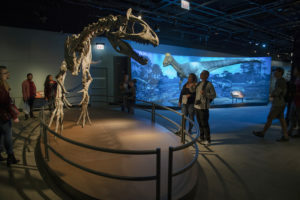 ** The Field Museum’s new exhibit, Antarctic Dinosaurs, is performing very well in our visitor polls, so we feel it is successfully telling the story of prehistoric Antarctica. The exhibit is very immersive and visitors get transported to present-day, icy, nearly lifeless Antarctica, and then back in time to when life thrived there. We showcase fossils from Antarctica along with life-sized reconstructions of these animals in their environments. Some of the highlights are skeletons and life reconstructions of Jurassic dinosaurs — including two species that are so new to science they don’t yet have scientific names — as well as giant crocodile-sized amphibians and some of the clothing and items used by the earliest Antarctic explorers. Throughout the exhibit, visitors learn about changes in the earth’s history like continental drift and how Antarctica changed from being a forested landmass teeming with life to the barren ice desert it is today. ** The Field Museum is a great place to learn about the diversity of life on Earth and its history. Our exhibits showcase some amazing specimens and artifacts that tell stories guaranteed to blow your mind. And we change it up pretty often, so visitors will always have something new to see. ** Maximo is a titanosaur, a family of sauropod dinosaurs that lived mainly in the Southern Hemisphere in the Cretaceous Period. Our cast is based on parts of six individuals that were found together at a site in Patagonia, where they perished about 100 million years ago. At 122 feet and an estimated 70 tons, it is the largest dinosaur yet discovered. 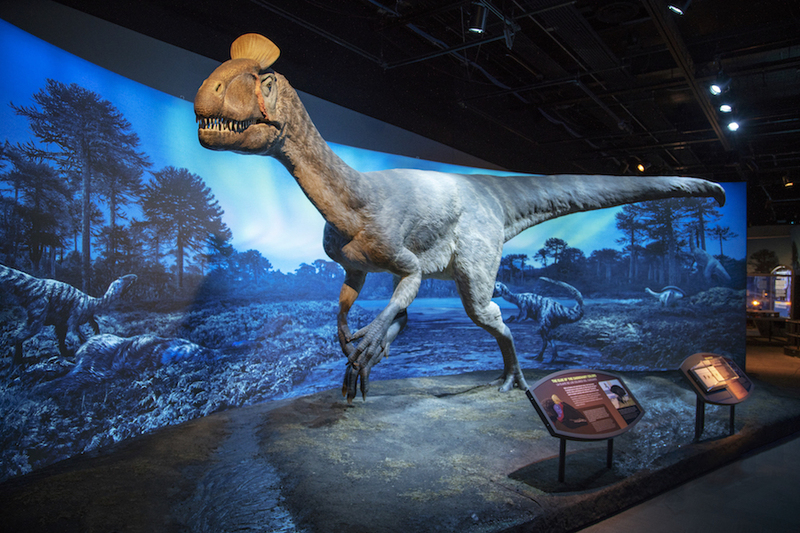 ** The star of our show is Cryolophosaurus, a 26-foot-long predator with a crest running across the top of its skull. When we were excavating its skeleton, we kept finding shed teeth of what we thought was a smaller species of predator in the rock alongside the bones. After some careful study, we determined the teeth actually belong to the same species — Cryolophosaurus fed on its own kind 195 million year ago! 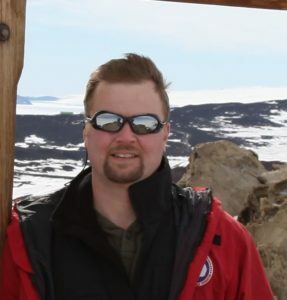 Just as today, Antarctica was a tough place to survive back then, only for different reasons.